IDF team visited Grandmaster Vishwanathan Anand's house at Chennai and presented a bouquet to Aruna Anand. Grandmaster Vishwanathan Anand recently won the title of World Championship for the fifth time in Chess. 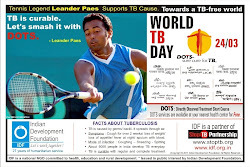 IDF thank both Grandmaster Vishwanathan Anand and Aruna Anand for being the Ambassadors for IDF's TB Awareness during World TB Day 2009. A Divine Meeting on 30-05-2012. Prabhu Sumithra Krishna Das, President, ISKCON, Chennai congratulated IDF work and appreciated the ongoing mid-day meal programmes carried out at various Gurukuls in Mumbai. Blossom Bal Gurukul at Guduvanchery in Chennai will touch the platinum number of IDF Bal Gurukuls in India. IDF will collaborate with Blossom Trust (Virudhunagar, Tamil Nadu) to empower young minds in Guduvanchery area. We seek your blessings as we march on the path of development. Indian Development Foundation in collaboration with Standard Chartered Bank will be organising World Environment Day (WED) event at 6 different locations in India. Every year WED falls on 5th June. This year the theme is Green Economy. ON 2ND JUNE - Saturday - GREEN WALK and Clean-up drive will be held at Delhi, Chennai, Bangalore, Hyderabad and Pune. ON 3RD June - Sunday - GREEN WALK and Clean-up drive at Mumbai. Social Ambassadors from IDF and Social Champions from SCB will converge to create awareness to protect `Mother Earth'. Meeting IDF Social Ambassadors at God's own country !!! Great meeting IDF Social Ambassadors - Aravind and Aparna - at Thiruvananthapuram (Kerala). Discussed on youth empowerment programmes and possibilities of networking with various environment-based organisations in Kerala. Aravind and Aparna are committed to spread the message of goodness. IDF will soon be opening up Gurukuls which will empower the youth to meet the challenges in job-front. IDF's 75th Bal Gurukul.....Blossom Bal Gurukul. IDF launched its 75th Bal Gurukul - Blossom Bal Gurukul at Guduvancherry, Kancheepuram Distrist (outskirts of Chennai) on 30-05-2012. Blossom Bal Gurukul is launched in collaboration with Blossom Trust (Virudhunagar - Tamil Nadu). IDF is committed to bring smiles on many lives. IDF team comprising - Dr.Narayan Iyer, Mr. S. Sreeram, Mr. K. Sathyamurthy, Mrs. Kamakshi Shiva and Mrs. Sreelekha Narayan - participated at the inauguration and congratulated all the students. Mrs. Annapoorni Mercy, Director, Blossom Trust and her team thanked IDF for providing such a wonderful gift for the young minds. IDF Social Interns in Action. IDF social interns are committed to spread the message of goodness. They are working on health, education and development projects. Dr. ARK Pillai, Wg. Cdr. S. Balasubramaniam, Wg. Cdr. V. K. Vasudev, Mr. Rajiv Phadke and Dr. Narayan Iyer congratulated the interns for their social initiatives. Indian Development Foundation (IDF) in collaboration with CSS – Centre for Social Service run a Bal Gurukul in Hyderabad. We propose to start a Women Empowerment Program for the women of the nearby slums which has a large population of the Lambadi Tribes. These ladies are not educated and do not have any skill. However they are showing a lot of interest to learn and earn for their family and children. This project is for the women from rural and urban poor women working in the informal sector and also for the mothers of the children of our Bal Gurukul who after leaving the child in school just work as casual labourers. We propose to train these ladies in tailoring and make them self reliant. The tailoring course is for 3 months. After the training they are given a job work so that they can earn from the same project. For this purpose, we need 10 sewing machines so that they can train at least 10 women in each batch and can run a minimum of 3-4 batches in a day so that they can train at least 50 women in 3 months. 1. Usha Champion: 8 Nos. 2. Magic master Embroidery Machine: 2 Nos. We hope that you would extend a helping hand towards this project and help us empower these women by providing training and capacity building of various kinds, we would develop their self-confidence, and their life skills. Thank God that you are healthy at this moment.....Count on your blessings. Enlightened persons/ institutions may come forward to support Indian Development Foundation (IDF) so that we can pass on your `goodness' to those who need the most. 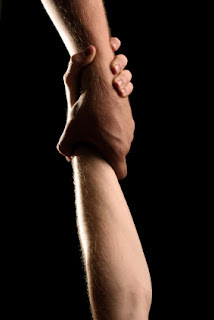 We often think of doing good ! `Why postpone goodness in life ? ', What is possible today may not be possible later. Delay in acting on the inner urge cause nagging uneasiness for years to come. Isn't it wiser to act today ? IDF is known for transparency and accountability. Do send your contributions and save million lives. Every donation counts.....Every donation of yours is big to us. It was a great honour for Dr. Narayan Iyer to address the Rotarians of Rotary Club of Mumbai North Island at Juhu, Mumbai on 10-05-2012. He was given the responsibility to speak on IDF's work on Tuberculosis Awareness and Control programme. 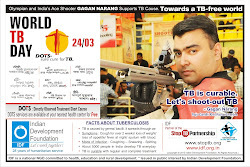 Rotary Clubs at different station in India have been partnering with IDF in its massive TB Awareness programmes. With more participation and support, we are confident of controlling and stopping the spread of the 2-letter disease (T.B.). Awareness is the key. Special thanks to the Rotarian President Dattatray Padhye, Rotarian Secretary Parveen Jethi and the Past District Governor Dr. J.T. Vyas. Also thanks to Rtn. Aunali Rupani for the wonderful support. Great to be on the board of prestigious leprosy eradication trusts in Mumbai. Participated at the Board Meeting of Hind Kusht Niwaran Sangh (Maharashtra Branch) and Acworth Leprosy Hospital's Research Rehabilitation and Education Society convened at the oldest leprosy hospital in Mumbai (Estd 1890) on 11-05-2012. IDF is currently running 4 Bal Gurukuls in collaboration with both the trusts - Panvel, Nanded and Nandurbar. IDF also support leprosy eradication programmes in rural Maharashtra. IDF plans to open two more Bal Gurukuls in collaboration with these trusts. Kolhapur and Sangli are proposed sites. L/R. Dr. Narayan Iyer, Mr. Ashok Kadam, Dr. W. S. Bhatki, Mr. Uday Thakar, Dr. (Mrs.)Amita Pednekar, Dr. S. S. Pandya, Dr. M.Y. Acharekar, Dr. V.V. 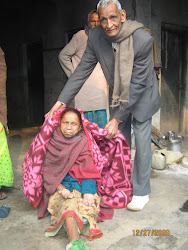 Pai, Dr. ARK Pillai and Mrs. Pratibha Kathe. 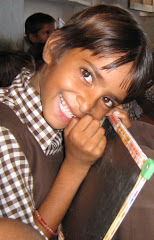 Devyukta: The youngest student social ambassador of IDF in Jaipur. — with Ark Pillai in Jaipur, Rajasthan. IDF social ambassadors met at Jaipur to spread the message of goodness. IDF Social Ambassadors met at Tara Niwas in Jaipur and got a brief session on taking the message of goodness across the nation. Mr.Vikas Gill, National Social Ambassador of IDF addressed the youth leaders and motivated them to perform their best in making a better India. Social Ambassadors included - Kovid, Aryaman, Bheeshma, Aakash, Ravi, Abhay, Shivani, Gayatri, Divya and Ajeet Singh. Mr. Sandeep Edwin from Prarambh Foundation was also present at the meet. Dr. ARK Pillai and Dr. Narayan Iyer congratulated the team IDFnext for invigorating India. IDF salutes Sophia Schoolteam at Jaipur for their constant support to various social programmes. — in Jaipur, Rajasthan. IDF salutes the work of Shri Shantaram Parate who turned 80 in April and completed 20 years of service in social work. Leprosy work was more dear to his heart so he chose to work for IDF and kept himself active throughout. — with Ark Pillai, Shantaram Parate and Narayanan Nair at Indian Development Foundation, Mumbai. Shivangi P. Surana was inducted as IDF Social Ambassador to spread the message of goodness. Shivangi, humanities student of Maharani Gayatri Devi Girls School, Jaipur, has great passion for social programmes was inducted as IDF social ambassador by Dr. ARK Pillai and Dr. Narayan Iyer on 01-05-2012. Principal Mrs. Suniti Sharma congratulated Shivangi for her excellent leadership and social participation. "I am extremely happy to become the social ambassador of Indian Development Foundation and i shall do my best to bring smiles on many lives" expressed Shivangi with a great smile.